What should you learn if you need to figure out, overnight, how to become an assistant film editor working on Avid Media Composer, in time for your first day in a professional edit suite? This post should help you answer that question. I’ve brought together a fistful of invaluable resources, some of which have only recently become available, that will admittedly take you more than an ‘overnight’ to get through, but given the right time and the investment could well set you on the path to landing your first gig as an assistant editor. In this post you’ll find books, video courses and other previous posts that will fill you in on what an assistant editor does, how a post team interacts and some of the essentials of Avid Media Composer required to get the job done. Think of ‘overnight’ more like an ‘overnight success’. So taking a good few years in the making that nobody really sees. Should you blag you’re way into a job your not qualified for? Absolutely yes. Just be humble and dedicated enough to learn as much as you can as fast as you can. Why is this post only about Avid? Well *most* feature films and long form content – the kinds of projects where an assistant might be employed – are still cut on Avid Media Composer. That said, you can easily translate 85% of these resources and training into other applications with a little effort. In this episode of Michael Kammes’ always informative and well edited web series, 5 Things, you can learn ‘The Truth About Video Editing Software in Hollywood.‘ or for our purposes, why you need to learn Avid Media Composer. Avid had the Hollywood market cornered. And all of this played in to one of the greatest untold truths about Hollywood technology; Hollywood is predominantly risk averse. And that’s why today, Avid is still used on a vast majority of all feature films and broadcast television here in Hollywood. Existing customer investment in infrastructure, experienced talent pool – both available and already on staff, documented workflows with other departments, a complete ecosystem, and a risk averse industry. If you are already more experienced with Adobe Premiere Pro or Final Cut Pro, then this post on switching NLEs should help you out. Possibly the best resource for really becoming trained in the skills, knowledge and diplomacy needed to succeed as an assistant film editor available today is Master The Workflow. Master The Workflow’s Feature Assistant Editor Immersion 1.0 is an online video training course, supported by a private community of users. The whole thing has been created by editor Lawrence Jordan and assistant editor Richard Sanchez. Their credits include top feature films and TV shows and the pair have most recently worked together on Netflix original TV show, Naked. It’s also well worth checking in on their blog from time to time, as they’ve already got a couple of solid articles on assistant editing online too. It also includes a free copy of Richard’s Codebook, the beating heart of an assistant editor’s responsibilities when it comes to tracking and managing a project’s essential metadata. Many assistant editors would keep this safe from prying eyes as a personal secret sauce. Lawrence and Richard have worked for some high-end clients! It’s really good! Having been created by an experienced film editor and assistant editor, the course content is excellent and meticulously detailed. It will teach you how to be an effective assistant editor. But what’s really great about the course is how much wisdom it delivers around the subject matter of being an assistant editor. Knowledge is foundational but experience is how your transform that knowledge into wisdom. Richard’s hard won wisdom comes from years of experience in various edit suites, handling all of the day to day work and variable political challenges that come with the stresses of production schedules and creative egos. UPDATE – There is now a complete set of practice materials offered in partnership with Editstock.com! The course is officially launching on January 15th 2018 and will cost $997 or 4 payments of $297 ($1,188 in total). Avid has finally released a free version of it’s industry standard software under the title of Avid Media Composer | First. The idea being that helping young editors, who presumably are put off by the monthly subscription price of the full Media Composer, get to grips with the software that is entrenched in Hollywood and the big media companies is a great way to shore up their position in the future of the industry, when the competition for the NLE market has never been more dynamic. If you just want to dive in and download it now, click here to follow the 4 step process. So what don’t you get for free? In this short tutorial from Red Arrow Industries, you can get a 7 minute crash course on working with Avid Media Composer | First for the first time. For a more in-depth look at Media Composer | First, Avid Product Solutions Specialist Michael Krulik walks through it at a recent LACPUG meet up, in this 35 minute video. Drop your email in to sign up here. If you want to save a decent chunk of money on a full Inside The Edit subscription just use the code JONNYELWYN to get 25% off. 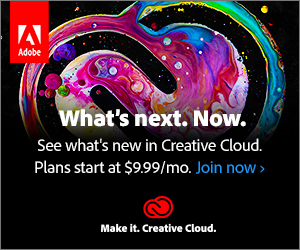 Kevin P. McAuliffe, who must have created more Avid Media Composer tutorials than any other man alive, shares these longer tutorials on Media Composer | First. These cover things in more detail and there are 5 tutorials so far on topics like understanding the settings, working with bins and basic editing. 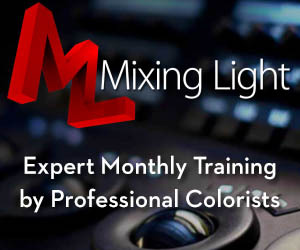 You can also watch a ton more Avid tutorials from Kevin here. Avid’s own official tutorials to help you ‘Get Started Fast’ with Avid Media Composer | First can be seen in this playlist of 7 tutorials covering everything from creating a project to visual effects, titling and audio work. There are a few essential books that are well worth reading if you’re trying to create a career as an Assistant Editor. In this section of the post I’ll focus on the Assistant side of things, but later on I’ll recommend some specific books to help you learn Avid Media Composer too. Before we dive in, it’s well worth heading over to Will Blank’s blog and reading his excellent guide to becoming an assistant editor in the US/LA industry. Make the Cut starts at square one in the journey to becoming an assistant film editor, whilst Jump Cut looks at the second half of the career development journey in making the leap from from Assistant to Editor. In many ways Make the Cut is a lot like Master The Workflow in book form with regards to the content it covers and the level of detail it delivers. Although the video course itself is likely to be more up to date and the video explanations potentially easier to follow for some of the practical tasks. But, either way, if you want to be an assistant editor you need to buy this book. 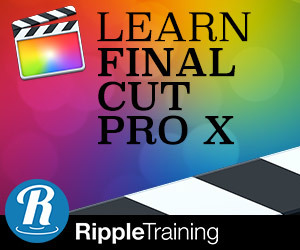 It delivers a very detailed step-by-step guide to professional feature film and TV post production workflows, including all of the paper work, Avid skills, politics and interpersonal nuances required to thrive in the pressure cooker that is an edit suite. It is somewhat very LA centric, with a distinct focus on the Hollywood way of doing things, which is understandable as its largely written for a US audience, but the principle of ‘moving to where the action is’, still holds true, you’ll just need to localise it for your country’s film hub. That said, there are also specific chapters on of the particulars of assisting in specific genres, such as documentary or reality TV production. One of the most interesting chapters was a write up of several ACE interns’ experiences during first day in a professional film and TV edit suite. Written from their personal perspective it’s these short vignettes are a great opportunity to hear the kind of things they got to experience first hand and the lessons they took away from the day, which should serve to calm the nerves and open the eyes of anyone whose not yet stepped foot inside a full-bore feature film edit suite. The first assistant will be entering the footage data into a digital database created through FileMaker Pro. This database automates a variety of fields of information that are derived from the metadata coming from the camera. There are also numerous tips or ‘Shine Notes’ scattered liberally throughout the book which feature personal annecdotes from the authors editing careers or extra nuggets of wisdom you would do well to heed. So don’t skim them just because they’re boxed out from the rest of the text. Chapters 1 and 2 of Part 1 are very detailed and all helpfully written to help those who (as yet) have no experience of life in an edit suite, to get a solid understanding of what they are in for. The chapters in Part 2, on learning and navigating the egos, politics, hierarchies and culture of an edit suite are invaluable for avoiding potentially damaging complex situations or career killing pitfalls. For example, how do you handle the ‘no-win’ situation in which you are called into the edit suite by the editor and the director and asked for your opinion on a scene they’ve both been working on? Chris Cooke ACE suggests the following technique. You state what you see are the differences. You might say, “The new cutaways to the CU of John as he drives are effective and beautifully shot even though the performance is a bit broad. In the earlier version without the CUs, I missed seeing John during the chase. So, the question is: is his bad performance hurting it enough to make that shift? I don’t know.” Basically what you do is throw it up in the air. Some things that the book gets into might seem a little too detailed such as how to enter and exit a room, how to answer the phone, whether the editor has a preference for these things – but either this information will be news to you or it will build on your understanding of the level of care and attention required to be the kind of person people enjoy working with hour after hour, day after day, month after month (or not) in a high pressure environment. There is also a useful glossary of terms at the back if you ever get caught out with an acronym or piece of slang you’ve never heard before. The books starts to thin out a little towards the end, and there is some information on career progression, and navigating the larger steps of moving from assistant to editor but this is remedied by having a second book entirely devoted to that, in Jump Cut. All in all, Make The Cut is an excellent read and a vital manual to keep in your bag when embarking on your first few assisting jobs. Chapter 16, a write up of an editor’s discussion panel, is well worth reading, not least for the section on the firing of assistants and other post horror stories, plus a whole lot more wisdom to learn from too. Throughout the book it is made abundantly clear that attention to detail, tenacity and personality are all key to becoming a successful assistant editor. Make the Cut is an absolute must read for anyone seeking to begin, or develop their career in film editing. This is a topic that’s not always easy to find reliable information on and often, especially if it comes from only one editor’s experience, can be a little narrowed in it’s view. Jump Cut however draws on their experience not only as editors themselves but the huge roster of ACE editor’s they’ve had access to, for over 10 years. I can’t reiterate enough how useful, encouraging and practical this book is. It is absolute gold dust for any assistant working in the industry today and as such is well worth reading from cover to cover and some sections repeatedly. I’ve previously reviewed Steve’s superb book, Art of The Cut, in this post (including an interview with him about the process of creating the book) so check that out as well, but here’s a short summary. 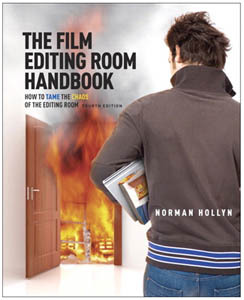 The Film Editing room Handbook by Norman Hollyn is a bit of a classic when it comes to the tiny niche of books addressing what an Assistant Film Editor actually does. The 4th (and final?) edition came out in 2009, (previously 1984, 1990 and 1999) so it’s getting pretty dated by now, but I include it here because if you somehow ended up handling real 35mm film as part of the job, this book would deliver all the information you would need to know to get the job done. The book is pretty beefy at 582 pages, and could be considered as ‘film-school-for-editors-in-a-book’, although the focus is much more on the young graduate entering the real world of edit assisting for the first time, than educating seasoned professionals. I have to confess I read this book quite some time ago and found it at times a bit of a slog (lots of handling 35mm film editing info – interesting but not immediately useful to me at the time) but to be honest it is a fantastically detailed, step by step, manual for those wishing to work in a large production edit suite. If that’s what you’re looking for, I’m not sure you’ll find a better book. You will get more up to date information on digital workflows in the previous books in this section of this post, but if you can get this second hand somewhere, it might deliver some valuable extra insights. It’s not often that assistant editors are interviewed on their craft, but in these new videos from Avid’s official blog, you can hear direct from some of the industries top professionals. Each interview covers different group but they are commonly about how the editor or assistant made their way up the chain and their insights for those who are following close behind them. Assistant editors Julian Smirke (Star Wars: The Force Awakens, Star Trek: Into Darkness, Mission Impossible: Ghost Protocol), and Kristen Young (Avatar, The Fast and The Furious: Tokyo Drift) share their experiences. Scroll a down for more of these! Steve Hullfish’s Art of The Cut has also recently interviewed the entire post team of Kingsman: The Golden Circle on their collaborative post-production process. Eddie is also interviewed individually here too. The interview runs at over 10,000 words and contains a huge host of illustrative screen grabs including editing timelines and workspaces, keyboard shortcuts and marcos and the Razer multi-button mouse set up a lot of the team are using. The entire thing is well worth your time and attention, if you’ve ever wanted to know how the sausages get made in the movie business. It’s also worth pointing out that each of the images in the post can be seen in their original resolution (sometimes 4 or 5K!) by right clicking and pressing ‘Save As…’. HULLFISH: What does Eddie like you to do to prep for him? How are the files named? And then scene bin organization and naming? BACIGALUPO: It’s changed on every project. It’s one of the things that is really interesting about working with him in that he continually evolves his system. I was with him on X-Men:First Class and that was nearly eight years ago and it’s continually changed since then. COOPE: The very first thing for Eddie is a viewing sequence. Once we’ve got the days subclips, we drag them all into a sequence for that shoot day, so he can see everything shot from the previous day’s dailies and can skim through, and if he gets a call from the director, he knows what’s been shot and can answer questions about it. HULLFISH: And is that sequence just from action to cut, or is it literally every single frame that went through a camera for the day? BACIGALUPO: The viewing sequence is every frame from every subclip. COOPE: False starts, NGs (no good/bad takes), everything. Kelly Dixon, ACE one of the editors of Breaking Bad and Better Call Saul, has some great wisdom to share for editors and assistants in this extended interview, along side Josh Earl, ACE. This interview with Adam Gerstel lists him as the editor of Transformers: The Last Night (which he was! ), although he was also a VFX editor of a dozen or so big budget features before that. It’s also worth checking out the 10 videos currently in their playlist called Making the Cut, here. Check out more excellent videos from Sprocket Rocket in this previous post. As a quick aside, and for those with lots of time, it’s worth checking out these posts for anything from David Fincher’s favourite assistant editor, Tyler Nelson as well as reading Steve Hullfish’s interview with Assistant editor Cheryl Potter about her work on The Martian. In this section of this post you can pick up some useful tutorials that might help you out as an Assistant Editor. In the first tutorial you can get a blended documentary/tutorial about Avid Script Sync, an essential tool for script-based edits for documentary and scripted content. There’s also an in-depth companion post on the Avid blog here, which is worth a read. This tutorial takes you step-by-step through the rather convoluted process of taking a sequence from Media Composer to After Effects and back again. Useful if you need to know how. In another tutorial from Kevin P. McAuliffe you can check out what’s new in the latest version of Avid Media Composer 8.9.3, with some important improvements. In this last section of this increasingly epic post I thought I’d highlight a few useful books for anyone looking to learn more about the inner workings of Avid Media Composer. One reason that a book is a great way to learn a skill from, over a video tutorial say, is that you aren’t as likely to be lulled into believing that you’ve understood a concept just by observing it, compared with when you have to mentally hold it in your head and understand it. It’s also easier to flip to the precise page you need to look something up in a book, than in a long video tutorial. Now in it’s sixth edition and published in 2017, Sam Kauffman’s Avid Editing is an excellent choice for anyone thinking “Which book should I buy first?” when it comes to picking a book on editing in Avid. Reading through the pages reminded me of the good old days I had at University, scouring the pages of the Final Cut Studio manuals and trying to learn all I could about the (once) glorious FCP7. By that I mean, if you’re looking for a book where you can dip in and find the answer to the hundreds of “How do I….” questions you have, when first learning an editing application, then this is the book for you. Sam then goes on to describe how to do this, click-by-click illustrated with three different screengrabs. The book is designed to be ‘a workbook, textbook and user manual all rolled into one‘ used directly alongside two practice projects; a dramatic short film called Where’s the bloody money? and a small documentary project. Although, anyone can download the 3.1 GB of rushes from the Routledge site for free here! So if you’re looking for files to practice with, that’s a good place to start; just click on the eResource tab. Each page is liberally illustrated with colour screen grabs, which actually essential over what might have been a cheaper print in black and white, to help you follow along, step-by-step with the specific instructions. This is why it’s an ideal book for anyone learning the software for the first time as you can learn how to import, organise, edit and polish your first project in a few chapters worth of reading. Avid Editing (6th Ed.) is probably the most up to date book on editing in Avid you can buy today, with new chapters on applying LUTS, utilising 4K workflows and more recent updates to Media Composer software. An ideal book for anyone who has blagged their way into the edit suite as an intern or second Assistant and needs to learn the essentials of Avid Media Composer in a hurry. At 472 pages it will have an answer to most of your questions, you’ll just need to lug it around in your bag for a while as it weighs well over 1kg! Helping an experienced Avid editor understand a bunch of fairly significant developments that have occured in recent years inside the Avid software as well as developments in the broader production environment that require new workflows and the exploitation of new tools. – Steve Hullfish, Introduction to Avid Uncut. Not only does the book give you the inside track on decades of editor Steve Hullfish’s experience in the edit suite, but that of a plethora of other experienced editors from assistants on The Big Bang Theory to award winning documentary editors like Steve Audette and feature editors like Wayne Wahrman (I am Legend, All the Kings Men, Charlie’s Angels I and II) offering sage advice throughout. Steve’s other book The Art and Technique of Digital Color Correction also benefits from this kind of expert input. Avid Uncut is an essential read for any assistant editor (or anyone whose just blagged themselves a gig as one and now needs to scramble to be ready!) looking to prepare themselves for work on film and TV productions. The book would also be really helpful for experienced editors moving to Avid from other NLE’s to understand how to get work done effectively in it’s unique environment. Although it was only published in 2014, the book might now feel a tiny bit dated as it is most often discussing the move from FCP7 to Avid, rather than something like Premiere Pro to Avid. Although, you could argue that the editing paradigms of FCP7 and Premiere Pro are so similar that it’s essentially the same leap. Check out the full reviews of each of these in this post on 3 Essential Books on Avid Editing. The most ambitious and comprehensive book on Avid Media Composer I’ve read. This is much more than an operating manual or how-to — it’s like having a seasoned pro sitting next to you, revealing his trade secrets. If you’re a Media Composer editor, rookie or old pro, Avid Agility will make you a better editor, guaranteed. – Jonathan Moser, Post Magazine.